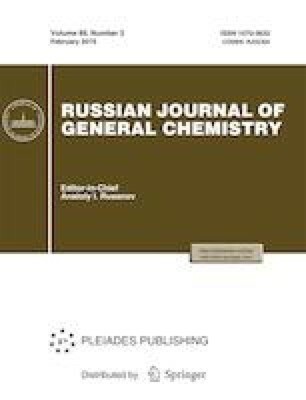 The kinetics of thermal decomposition of 3,7-dinitro-1,3,5,7-tetraazabicyclo[3.3.1]nonane has been studied in solid phase and in solution. The mechanism, kinetic parameters of decomposition, and activation parameters of the rate-limiting step have been determined. Russian Text © L.A. Kruglyakova, R.S. Stepanov, Yu.V. Kekin, K.V. Pekhotin, 2019, published in Zhurnal Obshchei Khimii, 2019, Vol. 89, No. 2, pp. 191–196.